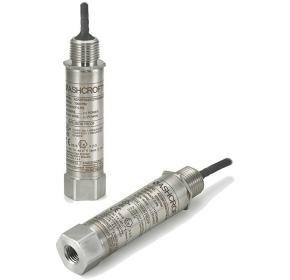 The Ashcroft® T2 pressure transducer provides outstanding integrity concerning high shock, vibration and pressure cycling. The Ashcroft® G2 combines performance with value. 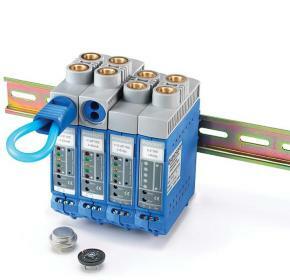 An versatile product platform, it excels in even the most challenging application. 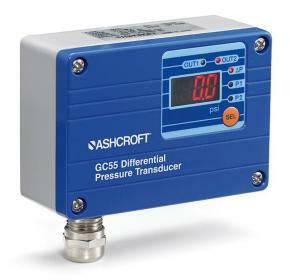 The Ashcroft G3 pressure transducer is a highly accurate, compact, economical and repeatable transducer for gauges and absolute pressure ranges. 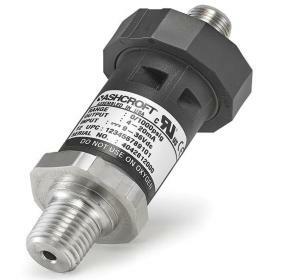 The Ashcroft® A2 industrial pressure transmitter is designed to satisfy the requirements of industrial applications. 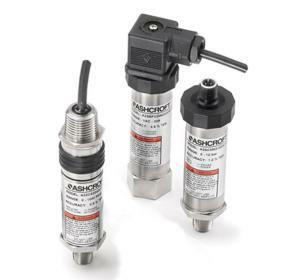 The Ashcroft® A4 pressure transmitter fulfills a wide spectrum of pressure sensing requirements where Intrinsically Safe or Non-Incendive hazardous location ratings are needed. 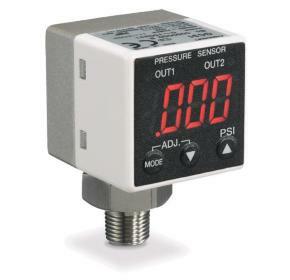 The Ashcroft® A2X pressure transmitter fulfills a wide spectrum of pressure sensing requirements when explosion and flame-proof hazardous location ratings are needed. 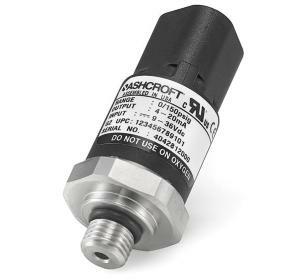 The Ashcroft® K1 is a proven and versatile pressure transducer/transmitter. 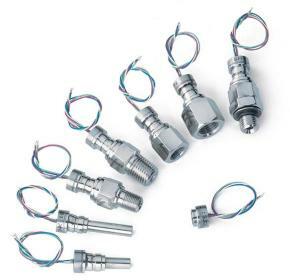 Sensor technology and assembly method eliminates signal instability and drift; making this product virtually unaffected by shock or vibration. 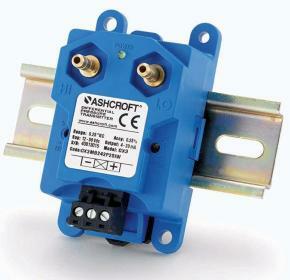 The Ashcroft® K2 shares the same platform as the model K1, except offered with a millivolt option. 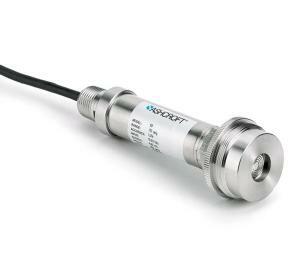 The Ashcroft® KX pressure transmitter combines benefits of polysilicon thin film performance with the utility of a flush-mounting sensing diaphragm. 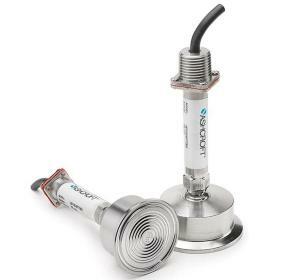 The Ashcroft® KS sanitary pressure transducer/transmitter combines proven polysilicon thin film technology with diaphragm seal expertise. 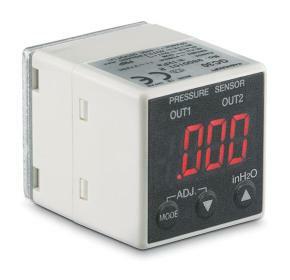 The Ashcroft® K8 is a proven reliable pressure sensor. 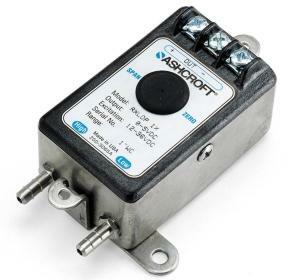 The Ashcroft® GC31 is an ultra compact indicating transducer with analog scaling and switch outputs. 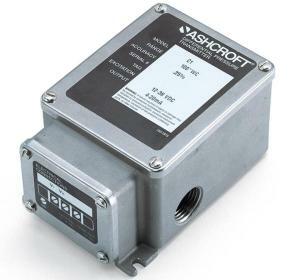 The Ashcroft® GC55 is a high-differential pressure transducer incorporating two thin film sensors; unit output signaling may be connected to external controls or data acquisition. 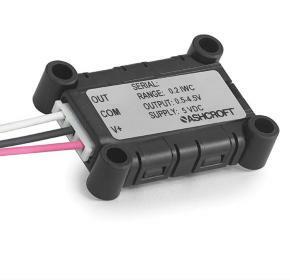 The Ashcroft® GC30 differential pressure transducer uses field-proven thin film sensor technology for monitoring a wide variety of applications. 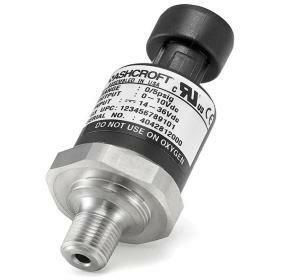 The Ashcroft® GL42 low differential indicating pressure transmitter is used for measurement and control of extremely low pressures and flow. 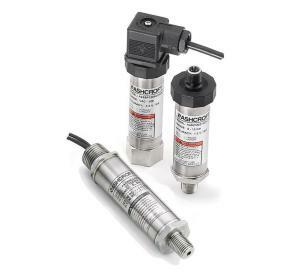 The Ashcroft® DXLdp differential transmitter uses patented Si-Glass™ technology, assuring precise measurement and control at extremely low dP pressures. 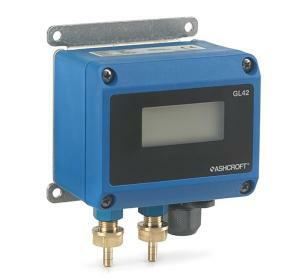 The Ashcroft® RXLdp differential transmitter utilizes patented Si-Glass™ technology, assuring precise measurement and control at extremely low differential pressures. 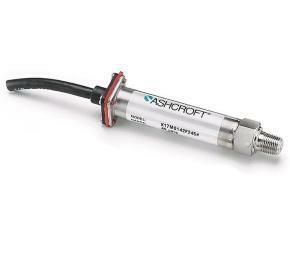 The Ashcroft® XLdp differential transmitter uses patented Si-Glass™ technology which provides precise measurement and control at extremely low dP pressures. 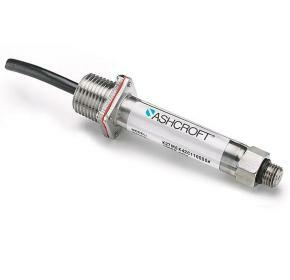 The Ashcroft® IXLdp industrial differential transmitter is used for measurement and control of extremely low pressures and flow. 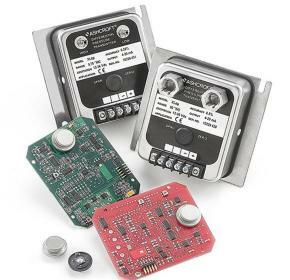 The AXLdp is designed for OEM systems that require an ultra-low differential pressure sensor that can be PC Board mounted.